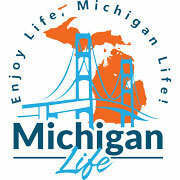 Michigan Life's Region 10 Gaylord Area! is well known as a Recreation Seekers Paradise, you will want to experience all that Gaylord has to offer including the North Central State Trail which goes from Gaylord to Mackinaw City. This trail is a part of our 300 mile snowmobile trail system.